The CLS Laser family offers a broad range of ECL-based narrow linewidth lasers in C-Band/L-Band as well as the 1310 nm, and custom wavelengths in an integrated photonic packaging platform called Integrated Laser Module (ILM) Package System. Power level options include 5/10/20 mW out of fiber, with 8-pin and 10-pin configurations. This system of packaging was designed with the end user application needs in mind: highly integrated, rugged form factor and a self-contained module. This optical product solution has maximized the ECL product performance such that it is suitable for use in advanced fiber optic sensing systems. 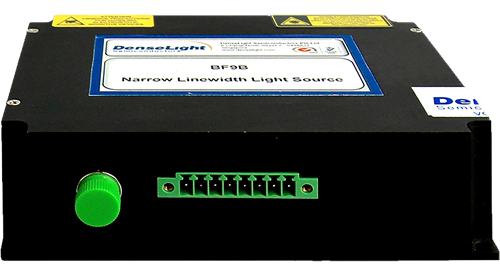 The ILM solutions feature narrowed linewidths (< 6 Khz), Excellent RIN (< -155 dB/Hz), Power > 10 MW, vibration immunity, leading external cavity wavelength tuning capability, Mode Hop Free operation over operating temperature ( 0 - 50 Deg C), and customizable for customer/application specific needs. 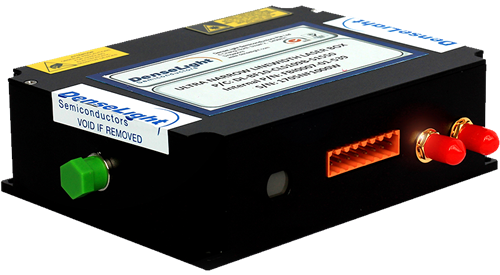 DLS Excellence in ILM wavelength and power stability performance makes it the choice laser source for laser-based sensing systems in applications such as distributed acoustic sensing, coherent OTDR, oil and gas – interferometric. There can also be phase shift applications like Pressure/Brillouin temperature and strain, and LIDAR systems. 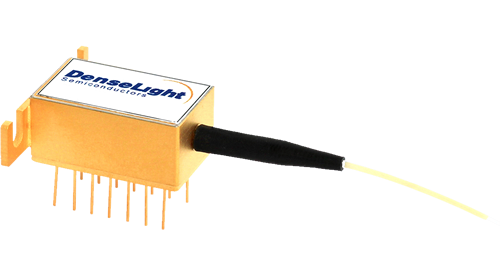 The DenseLight ILM designs are suitable for embedded designs and stand alone uses, which are currently being used today in a wide range of sensing applications.